Wayne made his DJ’ing debut at London's infamous Red Heart party in April 1996, performing alongside Grace Jones to a dance-floor of 3,000. 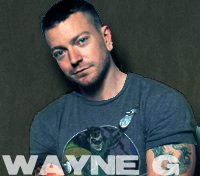 Received with great success saw Wayne join ranks with legendary DJ’s working London's non-stop nightlife. Warriors at Turnmills (home of Trade) made him a resident; however, it was his residence at London’s world famous Heaven nightclub that made Wayne a household name. For 9 years he was main floor resident at Heaven before he started his global touring. Wayne has played huge parties all over the world including Sydney Mardi Gras, Sydney Harbour Party, Sydney Gay Games, Berlin Love Parade, World Pride, the Adventjah Festival, Folsom St Fair, White Party Palm Springs, Winter Party Miami, WinterPride, Provincetown Independence and the prestigious Fire Island Pines Party & Independence Day Party. Over the last year his travels have taken him from Mexico City to New Mexico, from Sydney to Shanghai and from Johannesburg to Juneau. Wayne is also a resident on the Atlantis cruises. 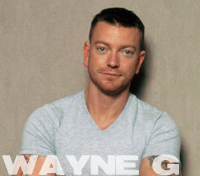 Wayne is a highly talented producer – he exploded on to the dance music scene in 1996 with an original track called TWISTED, in collaboration with Stewart Who. It was soon re-mixed by Danny Tenaglia among others. The track sold more than 150,000 worldwide and was the biggest selling dance single of 1998, going Gold in Australia and remaining in the top 20 for over 6 months. Much in demand, his production work includes remixes of Cher, Madonna, Lady Gaga, Kylie Minogue, Christina Aguliera, Celine Dion, Deborah Cox, Whitney Houston, Darren Hayes, Erasure, Jerry Springer The Opera, Lonnie Gordon, Candi Staton, Olive, just to name a few. The unique sound he developed for the HEAVEN dance-floor made his dance mixes instantly recognizable the world over. His sound has progressed over the last few years but is always stamped with his signature style. ‘Hands in the air’ is the approach he takes with him into the studio. Averse to categorization in any one particular musical style, Wayne takes the crowd on a musical journey starting with house, anthemic vocal house, electro, tribal and circuit, bringing the energy, percussive beats and the uplifting infectious riffs seamlessly together, creating a melodic high energy journey through all things House.